Why we love it: It's mac and cheese, what's not to love? 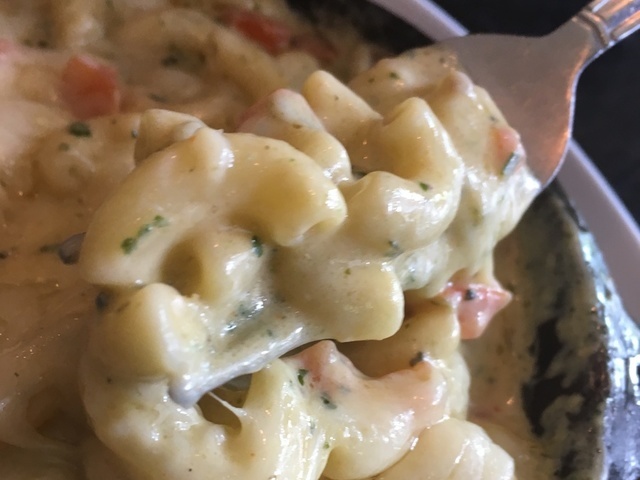 Keystone has plenty of adventurous creations and still appeases the purists -- the "Lovin' Spoonful" original mac and cheese is still one of my favorites. These dishes aren't skimpy, either; the heftier dishes, like the Powerhouse (buffalo chicken, brisket, jalapenos, bleu cheese and keystone chips) are hard to finish in just one sitting. On the Monday afternoon of our visit, I got the Fleetwood Mac (pesto, mozzarella and tomatoes) and washed it down with a cherry lime smash. 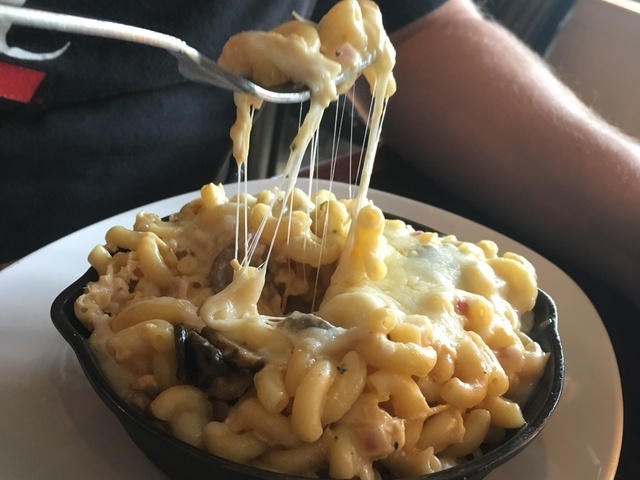 My date got the mac of the day, which appeased his love of all things spicy (buffalo chicken, jalapenos, mushrooms, onions and melted mozzarella on top). He paired his mac with a Two-Hearted Ale. Our bill ended up at $28.09, but we were stuffed. My date's order, the "mac of the day"
Keystone's appetizer game is strong, too -- while we didn't spring for it (this time), the brisket poutine was pretty tempting. The drink selection is also impressive, with a solid list of local craft beer and a dozen or so house cocktails ranging from mules to margaritas. Keystone has three locations: Hyde Park, Covington and Clifton. 4EG, Keystone's parent company, also sells the signature mac and cheese at their Mac Shack counter in CUF (for carryout and delivery only). Keystone's original and B.B. King (BBQ chicken and bacon) mac and cheese are now sold at Great American Ballpark in the Keystone concession stand near first base. For more great food finds that won't blow your budget follow us on Instagram @9onyourside.